Looking for something satisfying and relatively easy for dinner tonight? 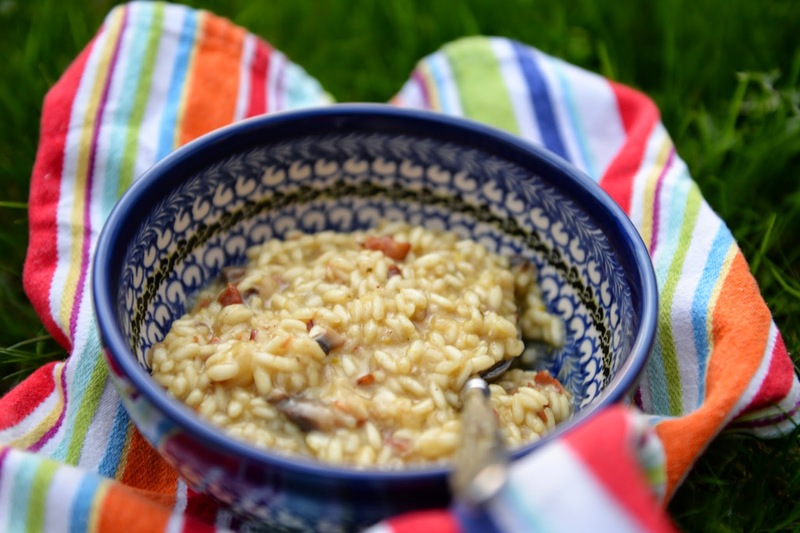 How about a new creamy, flavorful risotto that I recently discovered? You just have to love Google sometimes! 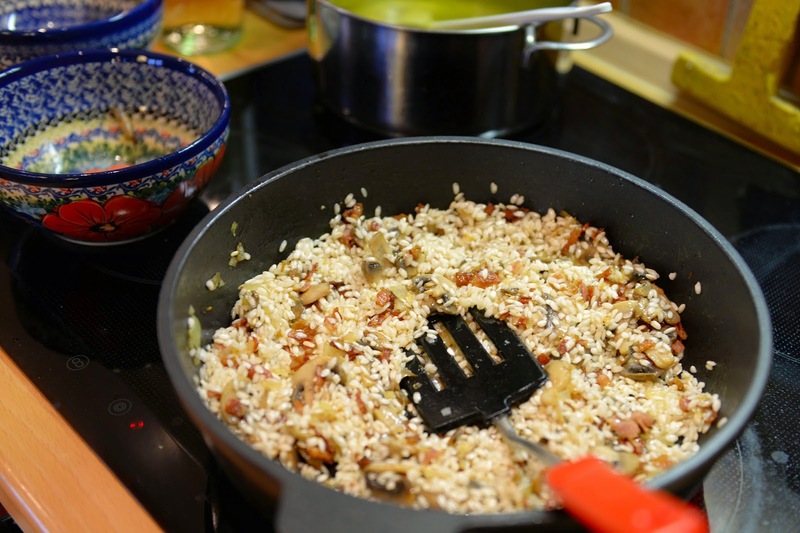 I put in the search box: risotto, mushrooms, bacon, onion and lemon. 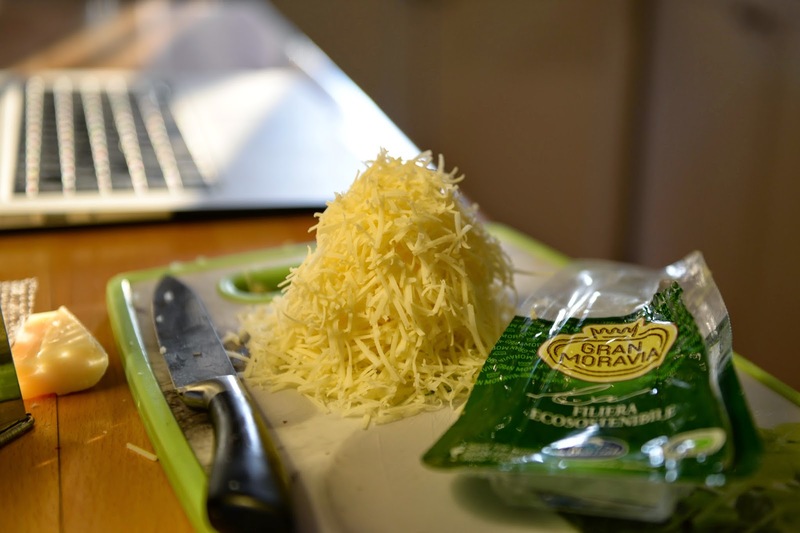 And THIS recipe from Taste in Australia is the first option it gave me! I couldn't wait to try it. 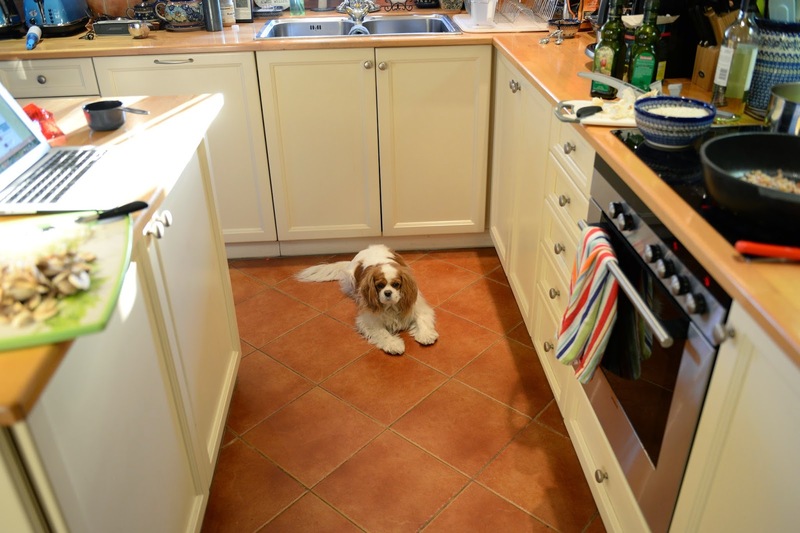 Somebody else was pretty excited that I was cooking this week (though she'd be disappointed to find out later that it wasn't for her!). 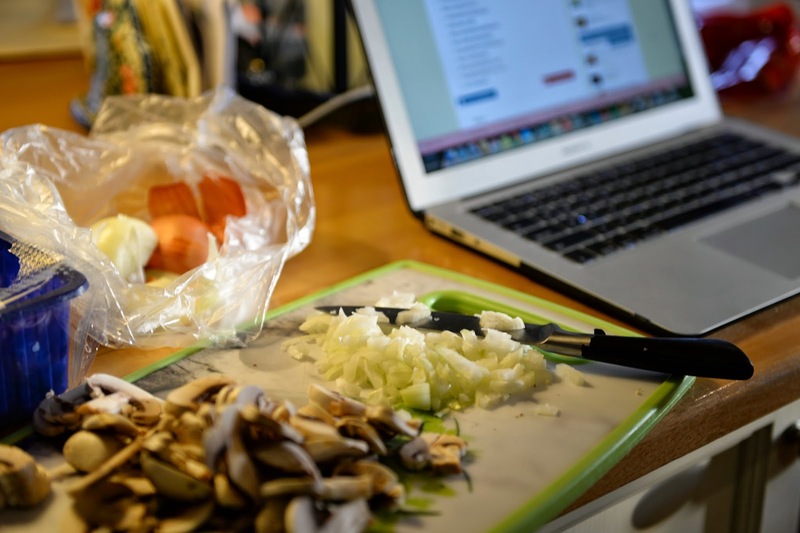 Meals have been a little scarce while I've been working on edits for my book. 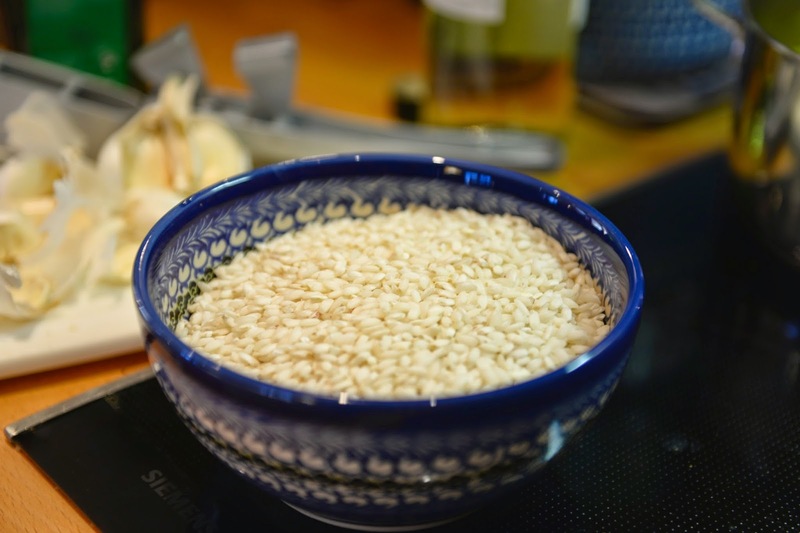 Do you know why the rice you use for risotto is called Arborio? I didn't know until I looked it up, but there's a town in Italy named Arborio, in the region where the rice is grown. I had no idea! There is something super satisfying about working with arborio rice, watching the glassy sheen as you twirl it around in some butter and olive oil before beginning to add liquid. 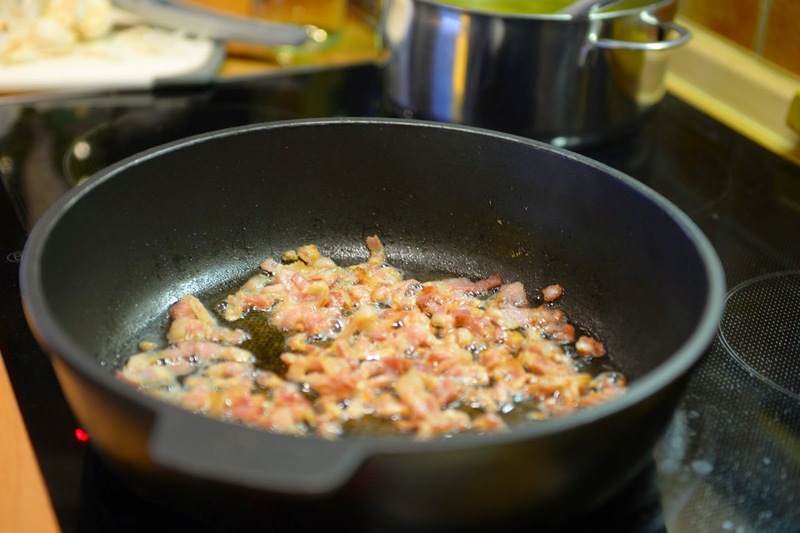 In this recipe you start with the bacon, mushrooms and onion in butter (yes, butter for the bacon...go figure) before adding the rice. Later on, after the liquid's all been absorbed, you add the rest of the yummy ingredients. 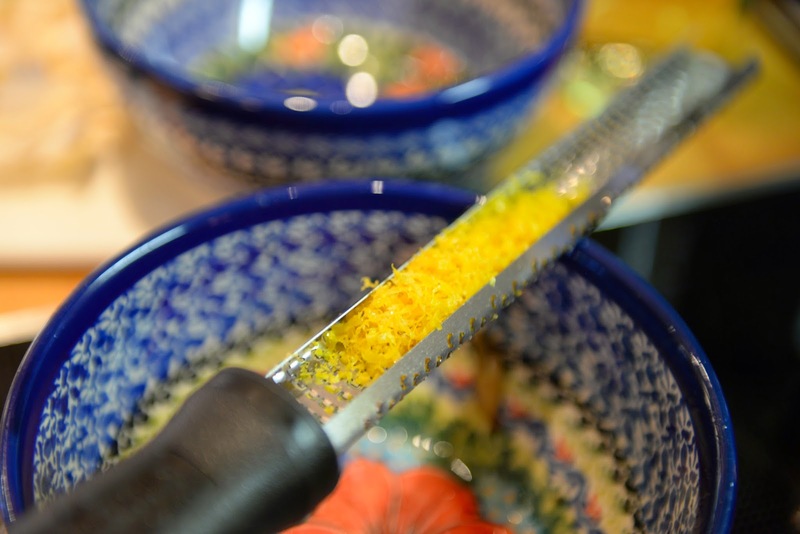 Which includes a good bit of lemon zest, rather than lemon juice. It really makes the lemon taste shine through the finished product. Speaking of bacon, I found this at Tesco the other day. 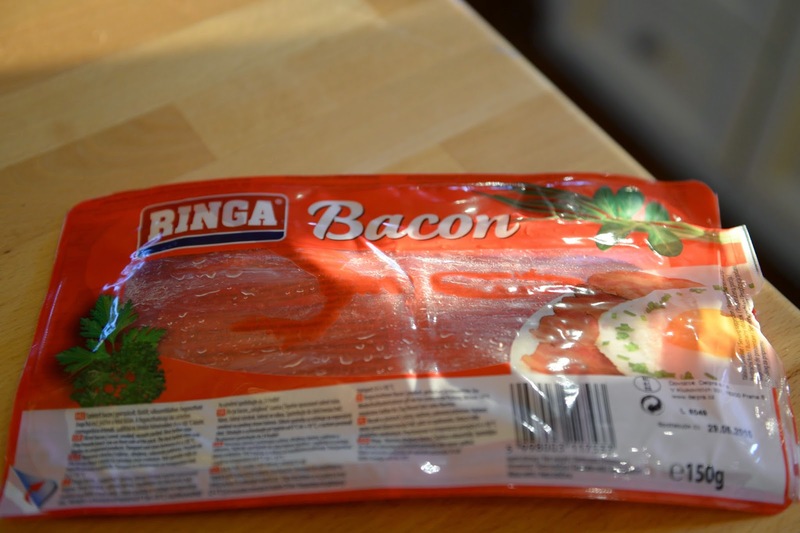 While Anglická slanina (English bacon) is the same thing, it was kind of fun to actually find "bacon" written on the package. It was tasty too! 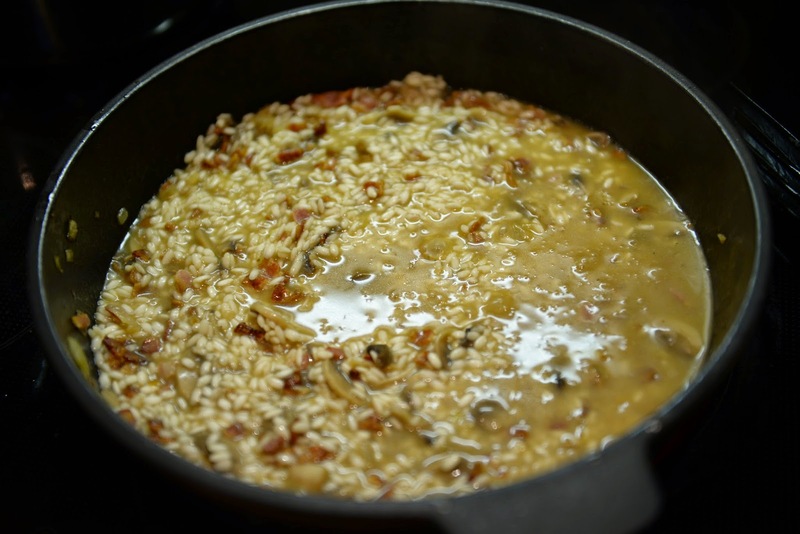 Adding the liquid and waiting for it to absorb is the time consuming portion of making risotto. But it's my favorite part too. Standing there stirring and stirring as the rice soaks in the chicken stock/white wine mixture, you have time to think, pray, sing, dance or do whatever you want...as long as you stay in one place and keep stirring. And then finally, it becomes its creamy, delicious self and you've got an incredibly tasty meal, all in one bowl. This is a recipe I'll be making many more times! Hope you enjoy it too.